Getting down to the smaller details of your wedding can be exciting, but even these smaller details need some thought to make sure your special day is as wonderful as you've always dreamed. Admit it ladies... we have all had that dreaded "bad hair day". Don't deny it! You know it's true! Don't let that be the case when it comes to your big day. No need to worry, there are steps you can take to make sure you are 'picture perfect' for your wedding. First and foremost... make sure you have a trial. We can't stress how important it is to have a hair trial. You get to see a 'glimpse' of what the end result will look like. Who knows ... what you thought would look great when you walked in may end up not being what you choose. Be open to suggestions. Try a couple different looks and make sure you take pictures! Have a friend or one of the ladies from your bridal party go with you to your hair trial. They can snap photos of your different looks from all different angles so that you make sure every side is your best side:) Also your "paparazzi's" snapshots willl help you remember what your hair looked like after you've left your appointment! 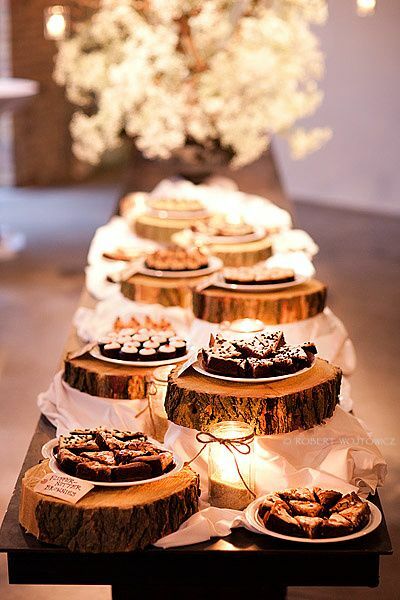 Remember to keep in mind the theme and style of your wedding and reception. Bring a photo of your dress and ask the stylist to suggest something that would fall in line with that. Be sure to bring any accessories you had planned to use and have them incorporated into the trial (ie: headband, brooches, veil etc...). That way you get the 'full picture'! It's a good idea to have your hair trial about 4-6 weeks before the big day.. that way there's still time to make adjustments and make a final decision. What's in this season is very loose curls and loose up-do's! Having that very relaxed look to your hair is a style that you see all over the celebrity circuit.... so why not on your wedding day! This hairstyle keeps not only your look flawless but makes it look effortless as well! Another beautiful up-do to try with your hairdresser is the side swept style! This style can either be done with all of your hair done up or with some hanging down oh-so elegantly! If you find you have shorter hair and aren't able to put it all up try having your loose curls fall gracefully down the back! 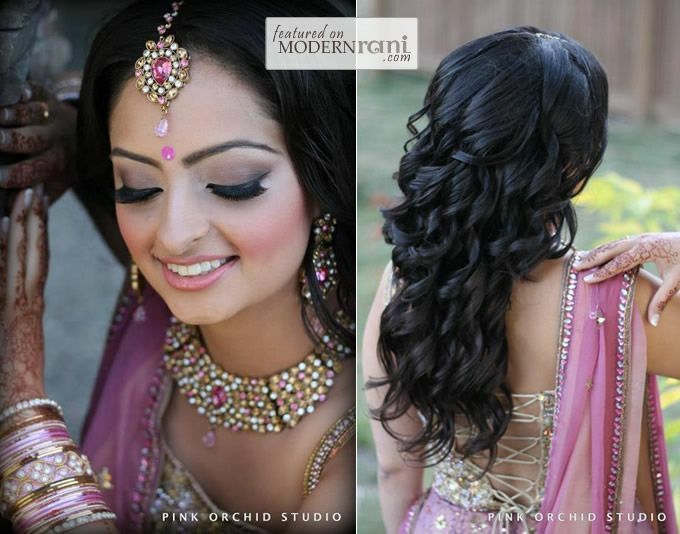 These loveable curls make anyone look amazing and give that finished look to any gown! Don't assume your regular hairstylist is the best person to tackle your wedding day hair. They may not be experienced in the area of wedding up-do's and such. You may want to get referrals from "just married" friends or look online for those pros that can help you achieve your vision. Don't forget about the neckline! It is important to take into consideration your wedding gown/outfit when deciding your hairstyle. You don't want to 'hide' that beautiful beaded work on the top part of your dress by draping long curls over it! Consider having a half up half down look in that case... 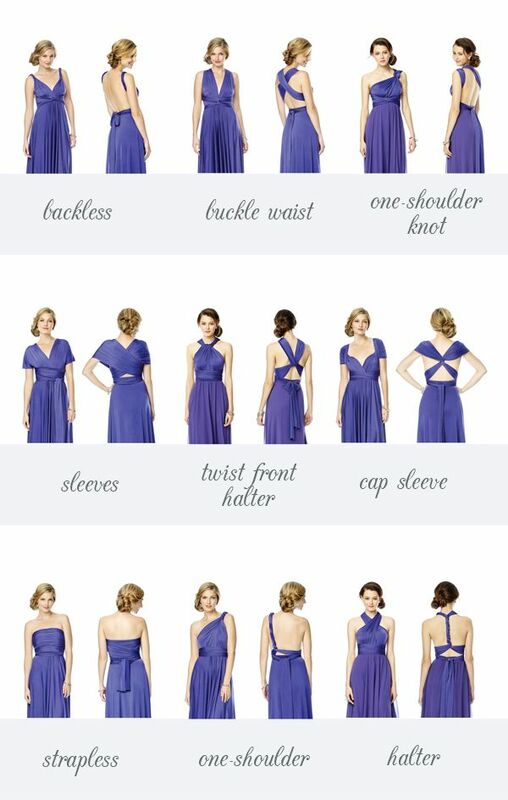 If your dress is strapless this would be an option as well to avoid feeling and looking too bare. Some cultural wedding outfits are very ornate.... all over! In that case, along with the accessories that usually accompany these beautiful gowns, you can get away with some work being 'covered'. Don't assume you're speaking the same 'language'. It's important to remember that what means something to you may not be interpreted that way to someone else. "Sophistication" may mean separate things to you and your hairstylist. We recommend that you bring 'images' to illustrate your vision. Something tangible that the stylist can draw inspiration from and know exactly what you're looking for. For those of you with shorter locks, have no fear! Here are some gorgeous styles that will inspire you! Accessories, whether it be stunning earrings, a blinged out headband or a delicate flower, play a key role in giving your look that extra 'umph' it may need! Wondering where to cut back on some costs for your wedding? One suggestion is to not skip out on documenting your magical day. Either with a professional photographer or videographer, you will be more than relieved that you have all of these wonderful memories saved for you and your loved ones. Professionals not only have a knack for finding those perfect moments between you and your partner but they have an excellent way of catching those candid moments of your family and friends! Nothing is funnier than looking back on the celebration and seeing the memories that you may not have caught the first time. One thing to consider when shopping around for a photographer or videographer is seeing how quickly they have the footage done for you! If it fits into your budget, see about same day photos or videos! Some brides prefer to show the “behind-the-scenes” footage the same day during the reception. A cute idea can be showing the footage of the bride and groom getting ready for the day with their wedding party! You can ask for the photographer or videographer to create a certain type of mood to go along with this idea so you can have a more ‘funky’ and ‘comical’ vibe or more of a ‘touching’ and ‘sentimental’ feel to it! Whatever you prefer! To the few brides that are lucky enough to have a friend or family member that can do this task for them, be sure to make clear what type of mood you are trying to capture! You want to make sure that taking all of that time to choose the theme for your wedding is not lost in the pictures or videos when you look back on them. Another thing to really be aware about is the pricing with photographers and videographers! Even though this will probably be a larger chunk of your budget it is well worth it in most cases! Just be sure that you are being smart with your selection… find the happy medium between paying a cheaper price for good quality and paying top dollar for something that you may think is overpriced. Remember, this is YOUR budget and you are the deciding factor! Take a look at some more interesting and fun images that may spark some interest! Cultural weddings have such an "exotic" feel to them! 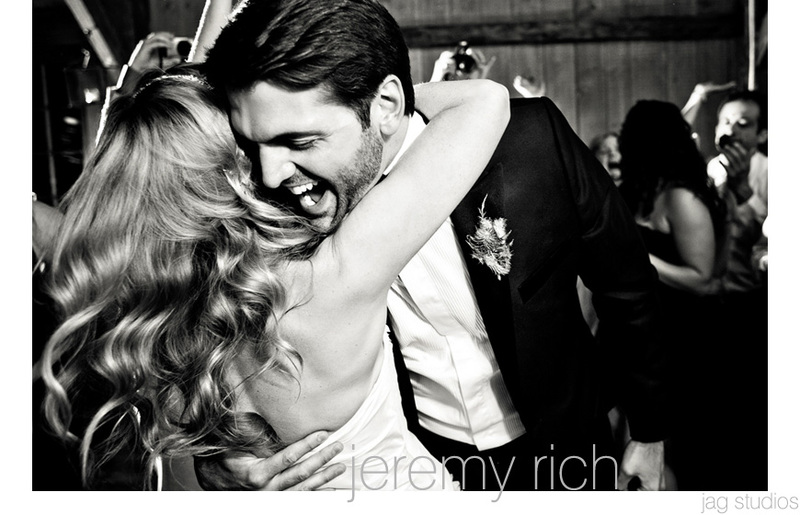 Weddings are about having fun and for that moment to be captured forever... priceless! and for those special moments between father and daughter... grab those tissues! ~ Theme Thursdays ~ Post Wedding Brunch! There are no obligations or rules to hosting a post wedding brunch. However, it is a nice thank you gesture from the bride and groom to treat their immediate family, wedding party and out of town guests. Alternatively it can be hosted by a close family member or friend as a gift or way of contributing to the wedding. You can even have a ‘no host’ brunch where you merely make reservations for a space to get together and eat with separate bills! It is a great and intimate way to catch up with friends and family that you haven’t seen for a while and relive the memories from the night before. It also serves as a warm send off for the newlyweds before they depart for their honeymoon and that is the same for guests who have come from afar. So why not have one last get together before everyone goes on their merry way in different directions! It is definitely not necessary to invite everyone who attended your wedding day. You already hosted one big affair so keep it small and stress free with your nearest and dearest. 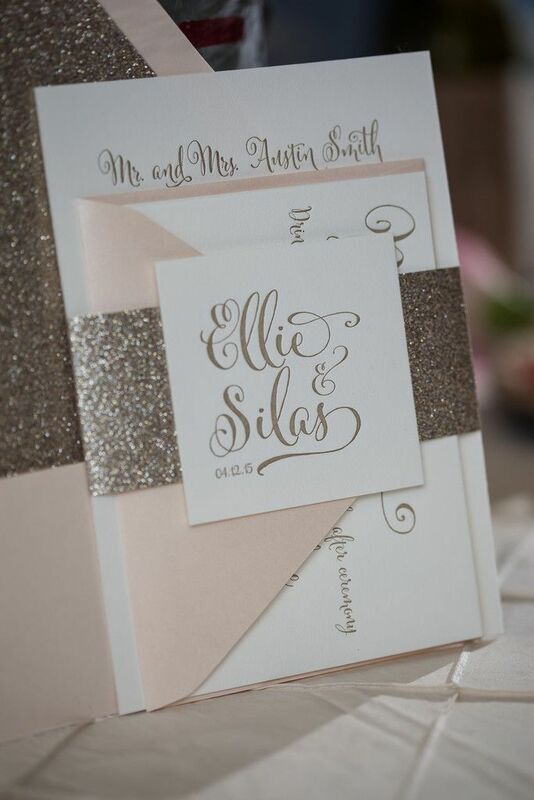 You can absolutely send formal invitations with the wedding invite but verbally or by e-vite should suffice too, as long as you have a head count to plan the brunch. You can be less strict and adopt a drop in at any time. If you and your guests are already staying at the same hotel, it may be more convenient to host it there. You can ask if they have a brunch menu available and have them reserve a dining area for you so other guests can join who are not staying at the hotel. You can even save money if it is the same venue you had your reception. Get haggling! Depending on your guest list you can go to a local café or restaurant or why not have it at home in an intimate setting. You can even get something delivered if you don’t fancy cooking. Bear in mind that most of your guests may be affected from antics from the night before, so don’t have it too early. Also ensure that the brunch schedule fits check out time and those who need to travel including yourself getting off for your honeymoon! Have plenty of juice, tea and coffee available and if you want one last celebrative toast consider mimosas or maybe Caesars (best hangover cure!) 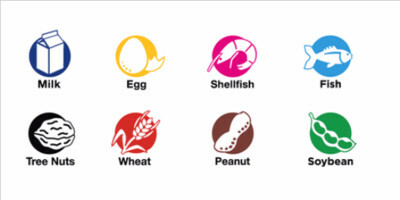 Food can include eggs, bagels, French toast, pastries, fresh fruit and if it’s later you can add more substantial items like quiches and a cold cut meat and cheese selection. You can even have an interactive food station like an omelet or pancake bar. Overall, keep it simple with minimal input! 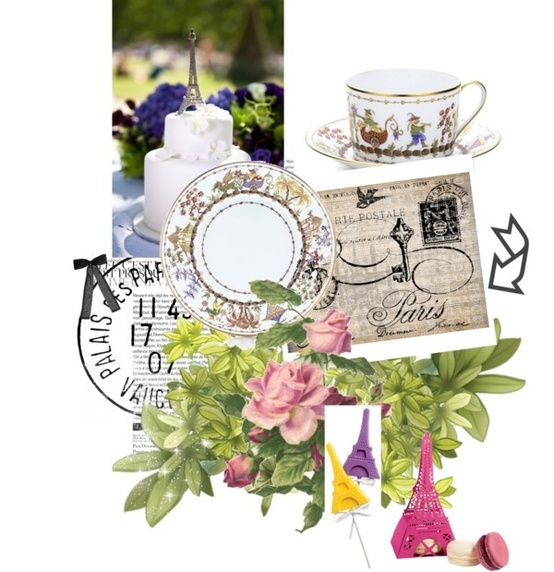 Re-use décor from the wedding, have chilled music and an easy menu. That’s all you need, easy like Sunday morning! ~ Tip Tuesdays ~ You’re Engaged! So he has popped the question and you said yes, where do you go from there? Enjoy and savour the moment! You finally got the ring on your finger, show it off and jump around in excitement and let the notion of embarking on the adventure of being a wedded couple take over! Tell your parents, friends and family your great news and wear that smile proud. When that frenzy is over…….breathe……. and then get organized. Get a journal or planner to document your ideas and progress. As well as keeping you on track, it will be something you can cherish and look back on. Here are 10 steps to start you off planning your gorgeous wedding day. It is important to do this first so you can gage exactly how much you have to spend. Use this wedding budget worksheet from about.com to plan out what you will need to pay for. This is not a definitive list but it does give you a starting point! Using spreadsheets could be a good way of keeping all your information in one place. Have tabs for your budget, guest list, vendors etc. When you announce your news this will be one of the first questions people will ask you, so when is the big day? Also remember that this date will be an anniversary for the rest of your life. Consider the time of year and the peak wedding season as you may have trouble booking vendors or people being away on holiday. 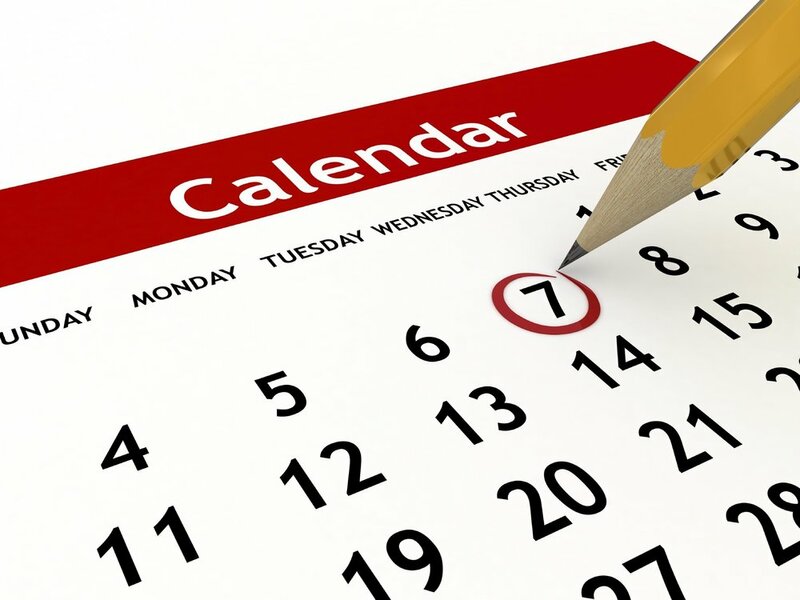 It always wise to have back up dates and definitely ensure enough time to plan! This is where you scribble down your to-do list. Write down everything you can think of from your wedding dress, flowers, photographer to nails, hair and make-up. Splitting the day into sections like pre, during and post will help as will doing it from the point of view of the bride, groom, family and guests. You can never be too thorough. Go through this list and start with the most time consuming tasks and leave the smaller jobs until later. 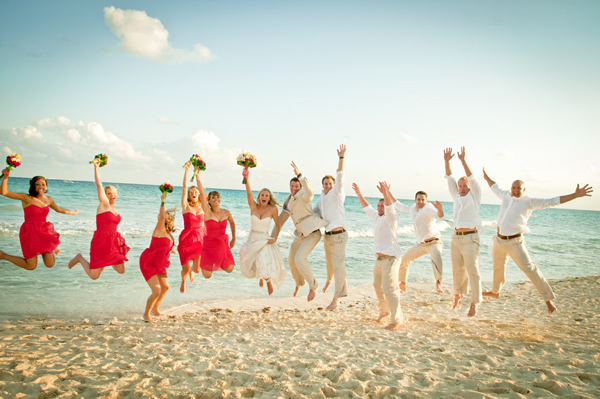 Step 4 – Select your wedding party. Start your guest list & send out save the dates. Important decisions to be made here! Who will be your maid of honour, bridesmaids and a best man and groomsmen for the groom? Think of special ways of asking them as this is a journey for you all, why not mark the occasion. 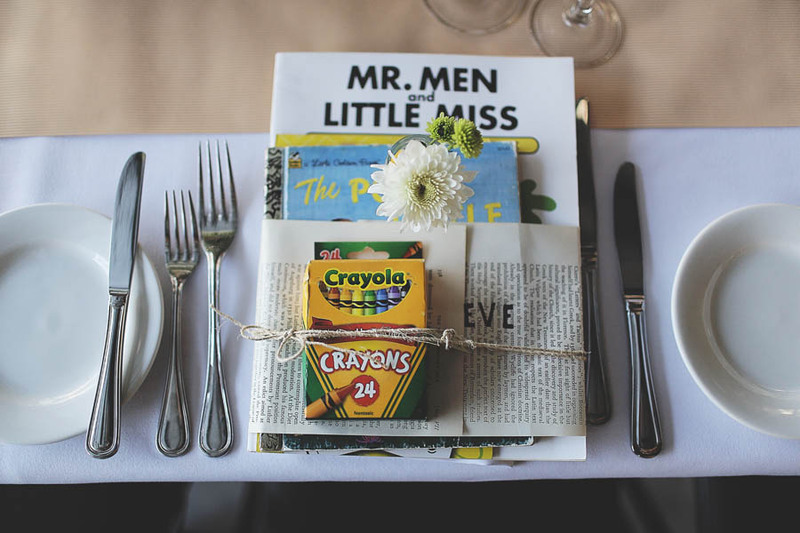 Consider the scale of your wedding as the number of guests will impact on your budget. Then again all the gifts could compensate! Once you have your list send out your save the date. 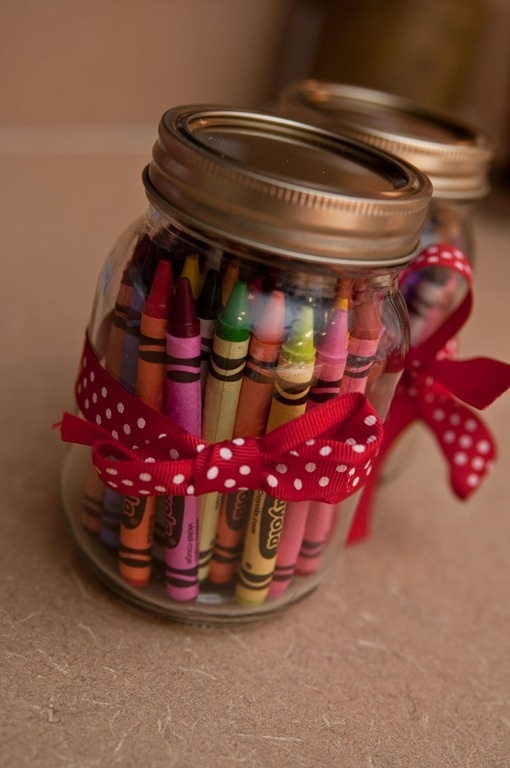 There are so many inexpensive ways you can do this, either through a DIY project or social media. Consider your ceremony and reception and whether you want a formal or casual affair. Is there a theme you have in mind? 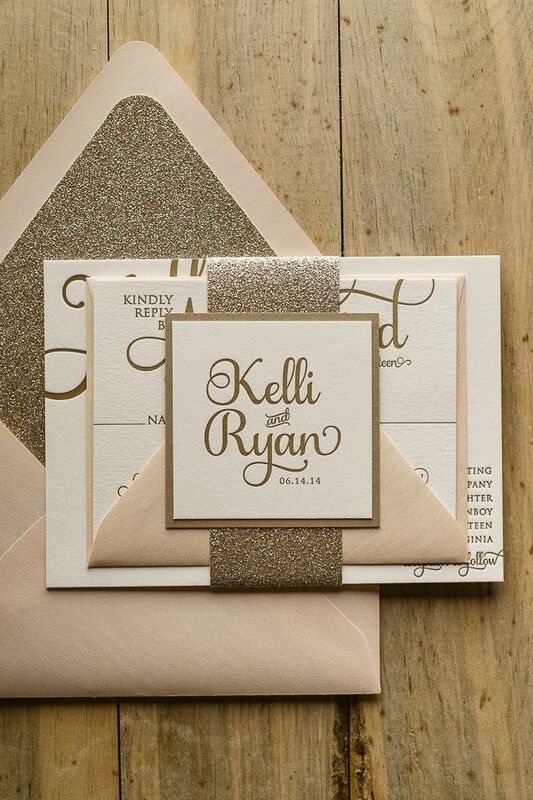 Sit down as a couple and brainstorm how you want the wedding to be and feel. Some people know exactly what they and others need a little inspiration, whatever it is make sure you both agree as the big day belongs to the both of you! Get your booking done in advance! 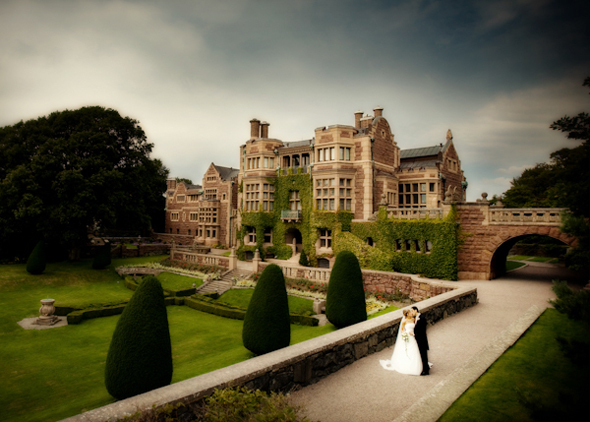 Check out our Find your perfect wedding venue article for more tips. Once this is confirmed you can send out your wedding invites and wait for those rsvp’s to come back. Get acquainted with Pinterest and create a board with images that speak to you. This will slowly but surely build into an online scrapbook of how you visualize your wedding to be. There is so much out there that any bride to be can easily be overwhelmed. Check out our article Social Media and Your Wedding for further advice. Make sure you get all the ins and outs of any supplier and always read reviews and ask to see past clients weddings to get an idea of the potential available from the vendors. Get all deals in writing, know the cancellation policy and always trust your instinct! 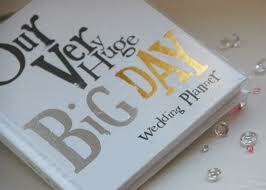 You may want to seriously consider hiring a Wedding Planner/Coordinator if you feel that it is getting to be too much! Finally the fun part, shopping! For your dress, décor, cakes, flowers, favours and whatever else you need. Explore the pretty things, go for gown fittings and tasting sessions and have fun. 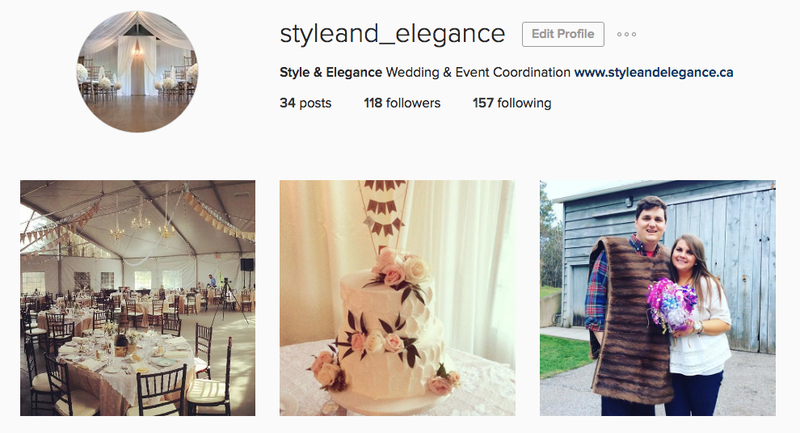 Just remember to stay on track and don’t stray from your theme or your budget! Almost there! It’s time to confirm bookings, do recces of places and arrange rehearsals. Once you are happy everything is in place, why not pamper and relax yourself before your big day. Book a couples spa day and enjoy yourselves before you become Mr and Mrs. Finally after all your hardwork enjoy your gorgeous wedding! ~Tip Tuesday~ - From the Knot to the Nest! Coming back from your honeymoon and trying to organize after the wedding can be stressful for newlyweds. Just to get you started, here is a checklist to keep you in that honeymoon relaxing state! Within six months of getting married find a specialized laundromat for wedding dresses and store in a cool dark place. Make sure to change your name on your Driver's license, Passport, Social Insurance Card, and at your Credit Card companies. Now that the two of you are a married couple, you can choose to file your returns together or separately for your yearly taxes. Talk to your accountant before making this decision! Try sending out your thank-you notes within two months of getting married. Don’t go crazy and try and finish them in one day, set a goal for yourself and they will be done before you know it! Dealing with a pile of unnecessary registry gifts can be put on hold until after you have come home from your honeymoon. You do need to keep in mind that each store will have a different policy for returns & exchanges. It is easier to tackle this within two months of the wedding to ensure you exchange the gift for exactly what you need. Very important!!! Don’t put off your photo selections!! It would be great to have all the photos and the wedding DVD on your first wedding anniversary. Keep in contact with your photographer and videographer to ensure you haven’t been forgotten! This task can slip through the cracks very easily! Becoming a unit allows your spouse to be your beneficiary. 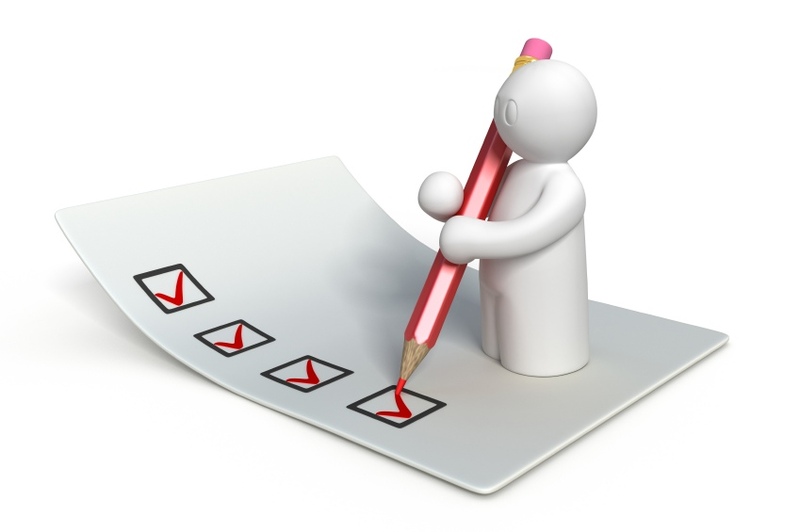 Contact your insurance company and HR departments for the paperwork necessary to start the process. Decide which work health plan will best suit both of you. Talk to your doctors and family lawyer for recommendations if you are having some trouble deciding. 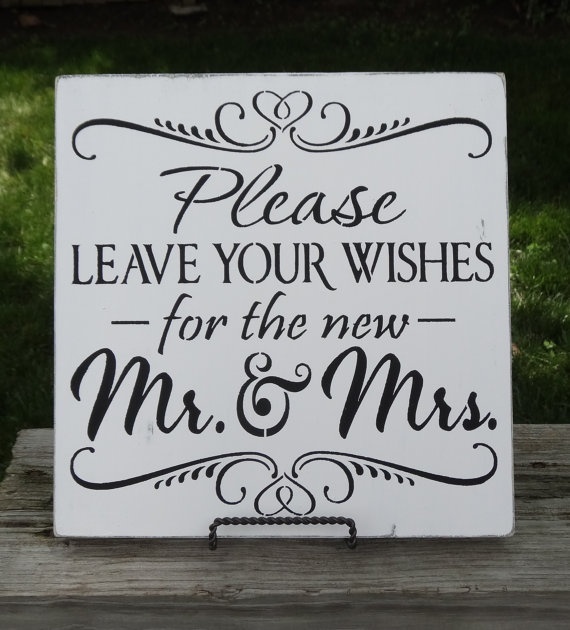 We wish all our of our brides & grooms-to-be a beautiful wedding day! But don't forget, it doesn't stop there! ..............That is just the beginning! 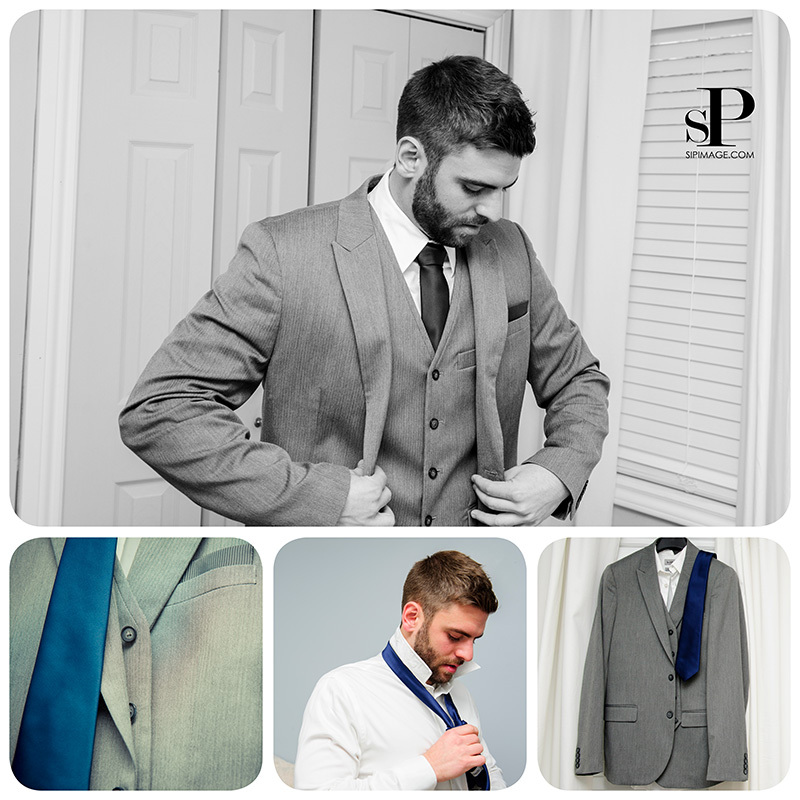 Tip Tuesday ~ For the Groom! As soon as you utter the words "engaged" - from that point on it seems to be ALL ABOUT THE BRIDE!!! Well today we're not going to talk about the "girls". It's all about the "Groom + his boys" today! Gentlemen, despite what you may hear, you are part of the wedding too. You can be as involved as you want to be. Here are a few things that you can be responsible for in the planning process, not just the engagement ring! First of all, as a couple - choose the wedding date. It could be something symbolic like the anniversary of your first date, or the day that you met for the first time. Choose something special to the both of you! You may need to consider "special guest" conflicts as well. For those that you would really like to attend. Try to stay away from holidays if you can... especially religious ones. 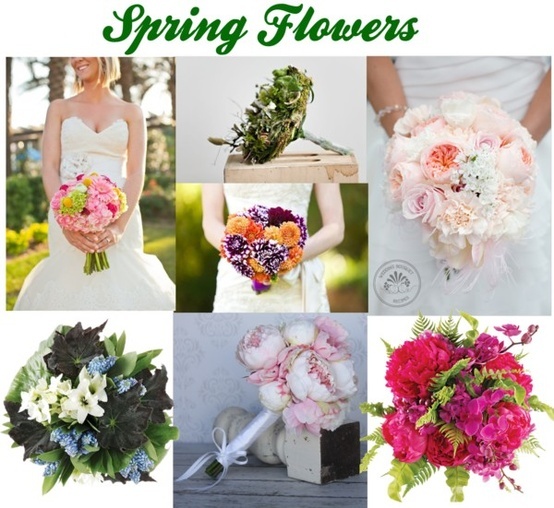 Which season you would like to have your wedding is just as important. 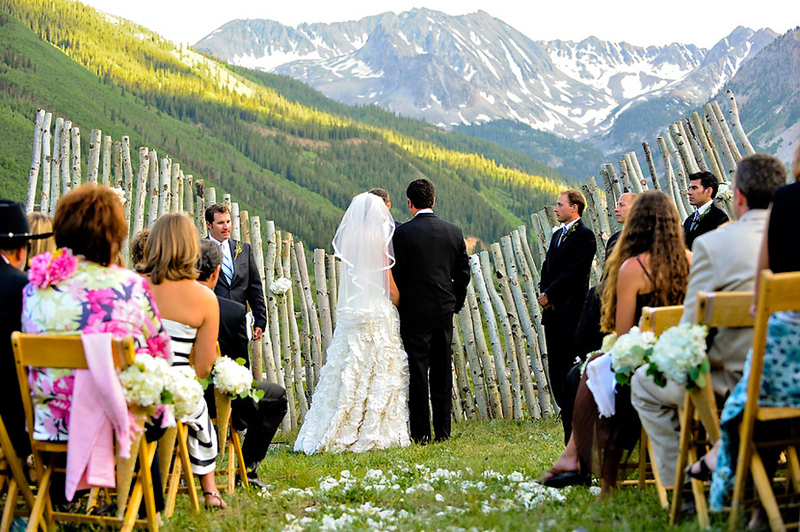 Weather can affect your wedding's style + location. It can set the mood for the celebrations so you need to think carefully. Second, you need to select a venue for your celebrations. A lot of places get booked up very quickly so you need to make this one of your top "to-do" list items. You may be quite surprised that you choose something that you never thought you would! You need to consider whether you want the ceremony + reception to be in the same place or you are okay with separate locations. 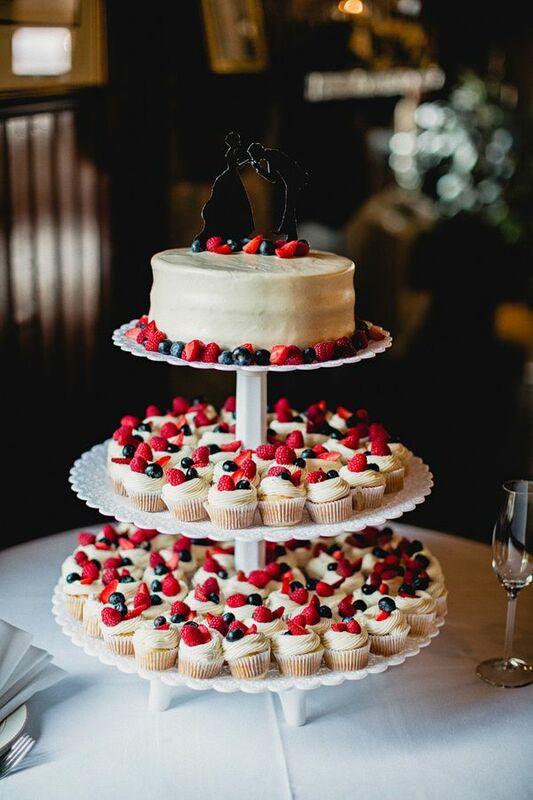 How many guests you plan to have will definitely dictate where your celebrations will be! Do you want a traditional venue or are you looking to get away from the normal choices and want a unique venue? It's time to select your entourage! Who is going to stand up with you and be part of your big day? There are the usual suspects... brothers, close cousins, friends... and don't forget the bride's brother! But before you make your decision, consider the size of the wedding and the person's ability to commit to the task of being a Groomsman. Can he afford it? Is he a gentleman? Does he have the time? Can you imagine your wedding without him? May sound silly but you don't just want to choose someone to even up the count. Now for the part where you can shine and fully take the reigns - choosing the Band/DJ. When it comes to choosing a band for you reception, always make sure you are able to see + hear them play before you decide. As a general tip, bands will be more costly than a DJ would so you need to know your preference. A good DJ will arrive early to setup and make sure that his equipment is placed out of the way of the podium, not blocking the view of the head table and has been tested for sound quality. You don't want any of that loud shrieking feedback! Some helpful hints to consider... interview 3-4 vendors, ask if the DJ is familiar with your venue, how much experience do they have, what is their attire for the event and clarify the number of hours they will be there. Dear Groom - you have quite the job on your hands as this is the one element that can make or break the wedding reception! No pressure though! 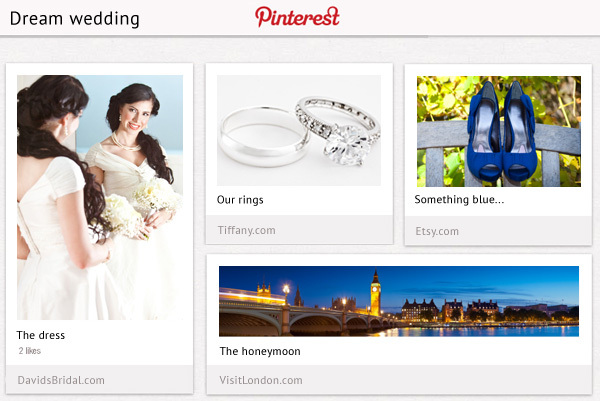 This is just a sampling of how the groom can participate in the wedding planning process. A lot more than you thought huh! We were just getting warmed up! 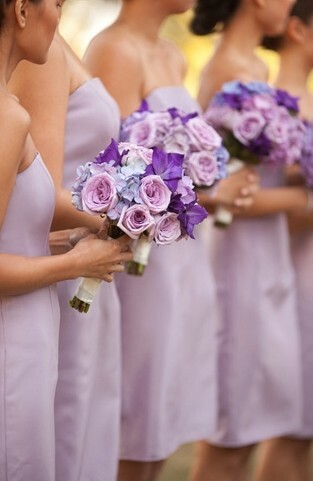 ~ Inspiration Fridays ~ Purple Weddings!! 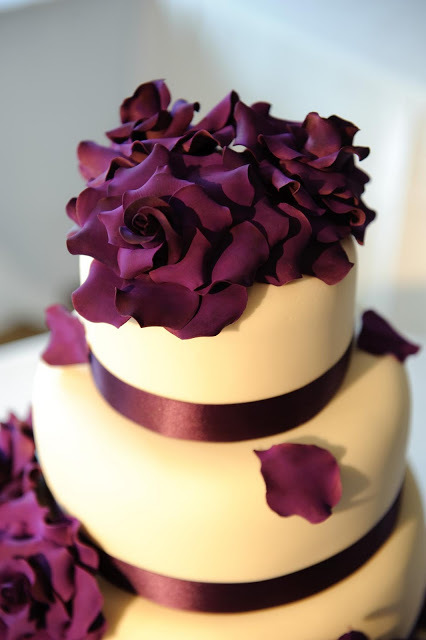 The colours you choose for your wedding will convey certain emotions, mood + tone. Many couples choose their wedding colours without knowing their meaning and what kind of tone it/they will set for their day. 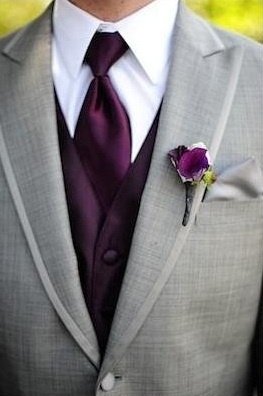 Darker shades of purple create a stronger, more sensual tone for the day. Royalty and sophistication will eminate from your event! 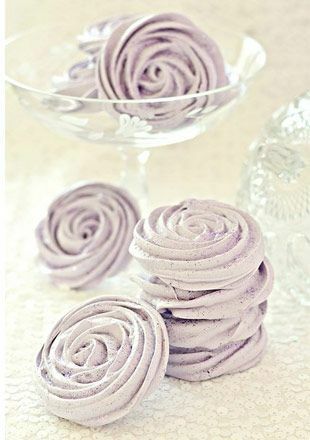 With so many shades of purple to play with, the possibilities are endless. You can achieve any ambience such as warm (Plum), fresh (Lilac), exotic (Violet), cute (Mauve), glamorous (Imperial Purple); you just need to find the shade & tone that suits your style + vision. 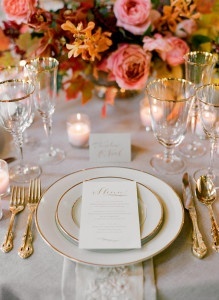 Combining an accent colour opens you up to SO MANY gorgeous wedding elements. You can apply the colour scheme with class, without over doing it. Limit it to where it should be used from dresses, bouquets, décor, and even catering but definitely don’t have everything one solid colour. Here are a few things to inspire you. Let your imagination run wild! Create the wedding of your dreams ladies!